Some pure costumes are trendy old in style and not that much attractive as compare to other costumes in market but for sure there are several things which make them totally different from others. Well these somethings are really harder to identify among thousands of choices but yes there are unique things. 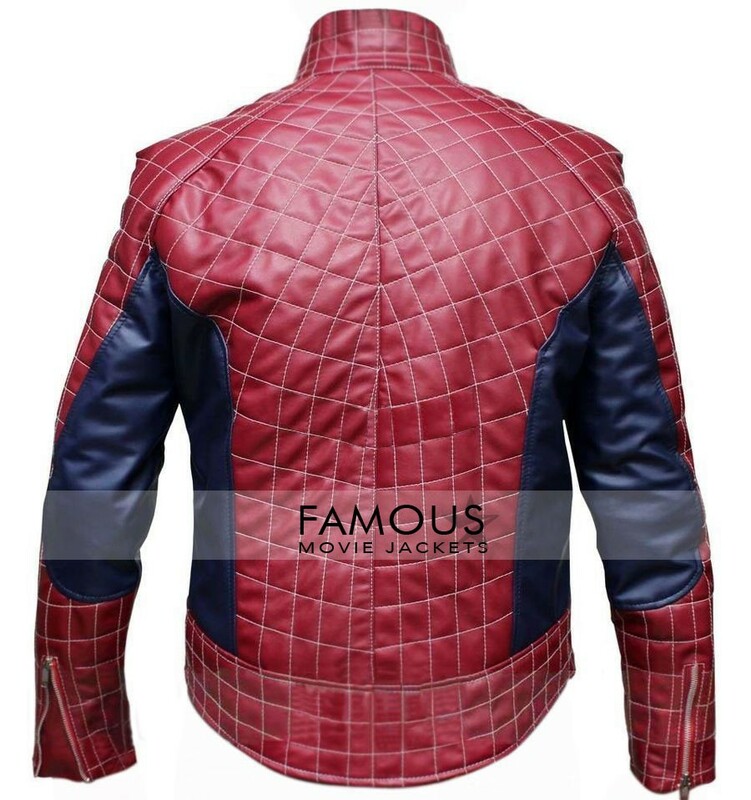 Famous movie jackets is seriously concerned to produce unique things for you with unique jackets or here we can say costume with the name of Spiderman Inspired Red Leather Jacket Costume filled with attraction at its peak. 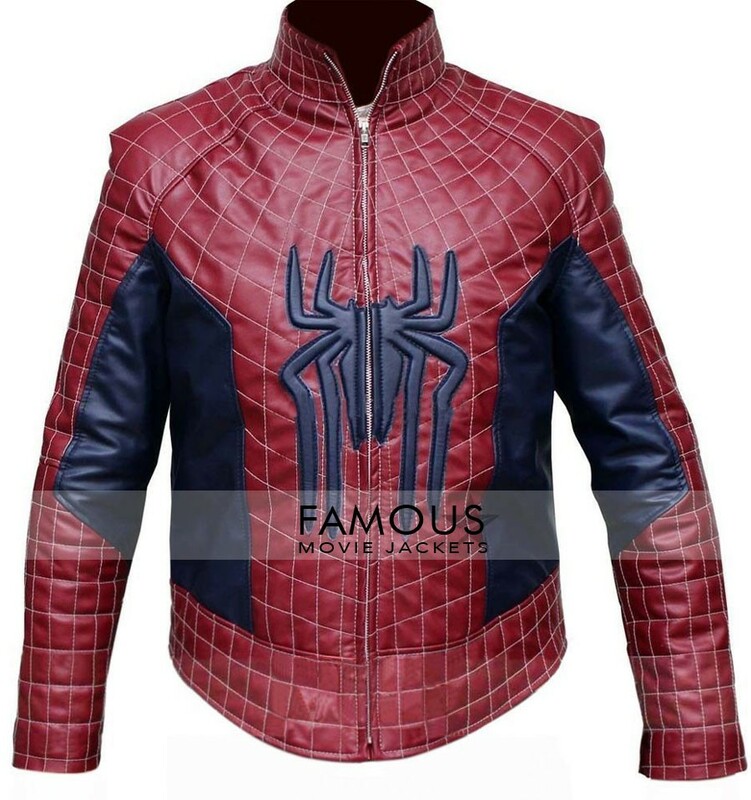 Well know about this jacket is this its trendy but there will be no fear to wear this Spiderman Red Jacket Costume for you. We assure you that you will surely feel rare and special to have this thing in your wardrobe with round neck collar YKK zipper in front with spider man logo on front with red and blue color. Pure hiring cloth for you. This Spiderman Red Jacket is seriously filled with shiny colors and I am a big fan of spider man feels like admired after this jacket.